what a wonderfully flavorful dish! I have to admit I have not seen green garlic, I must look for it! 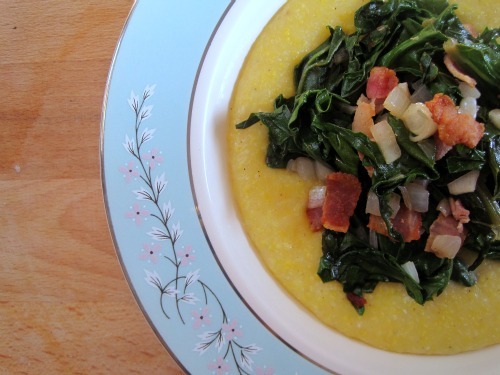 your cheesy polenta looks so very very good, what a nice contrast with that lovely kale! Love dishes that come together like this! Kale and polenta- killer combo that is so satisfying. Perfect weeknight dinner.